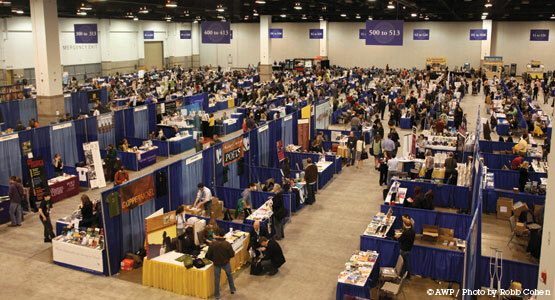 Right now I’m on my way to Seattle for the annual AWP conference and bookfair, joining thousands of aspiring and inspiring writers. For me, the past two days have been consumed with packing, reviewing my schedule, making various lists, feeling really confident about my abilities as a writer/reader/social human being, and feeling really insecure about my abilities as a writer/reader/social human being. It doesn’t help that I’ve been battling a murderous cold, but at some point, it’s just time to board the plane and put on your lanyard. Despite my suffering health, I am really stoked to be in the company of so many of my favorite writers. Hopefully I’ll get to chat with some of them when I’m working the Superstition Review table C40 at the book fair. Our team of six includes founder Trish Murphy; poetry advisor Mark Haunschild; and interns Erin Regan, Sydni Budelier, Beth Sheets, and Elizabeth Hansen. We’ll be taking shifts to man the table, where we are giving away some cool S[R] gear, so be sure to stop by. Thanks to the handy Everypost app, we’ll also be live-reporting to all six of our social networks during the conference. We’ve already been highlighting some of our past contributors who will be appearing in panels and readings with our #sralum campaign and will continue to seek out those familiar faces. Plus, there will be six of us on the ground with our ears perked for insightful quotes and amusing remarks. I’m particularly looking forward to the #overheardatAWP updates. There will no doubt be some gems under that hashtag. This advice post by #sralum Kelli Russell Agodon is so calming and reassuring. Admittedly, I go to this page every few hours for comfort and strength. I’m loving this tweet cheat sheet. As a somewhat inexperienced tweeter, I’m definitely keeping it on hand this weekend. Plus, have you seen this #AWP14 bingo card by #sralum Daniel Nester? It’s definitely worth a look and a laugh. Looking forward to seeing you in Seattle and on our networks!